Times have changed since I was a senior in high school and applied to only two colleges, UCLA and a “backup.” In today’s highly competitive admissions market, most students hedge their bets with at least ten schools. Even if an applicant is a straight-A-student, star athlete, student body officer, debate champion, medal-winning academic decathlete, concert musician, young entrepreneur, or volunteer extraordinaire, so are hundreds or thousands of others applicants, too. The way students can rise above the statistics of their grades and test scores is to convey to admissions who they are in the application essays. 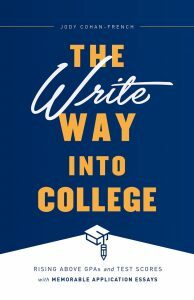 Not everyone can afford to work with a writing coach, so if you’ve got a high school senior in your life or you’re applying to graduate school, take a look at my new book, The Write Way into College. This accessible guide explains how to interpret and break down essay prompts, tap into the engaging details of topics, and break away from conventional structure to set the writing voice free. 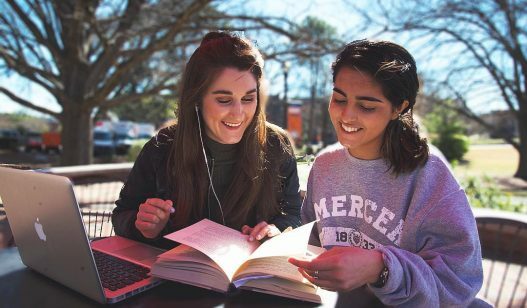 By studying real example “before” and “after” essays and excerpts, student can also learn how to self-edit, condense redundant content, and avoid typical application essay pitfalls. 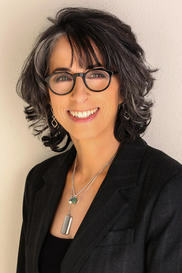 As a writing coach, my goal is for my students to become better writers in general. We live in the Information Age, and regardless of profession, communication skills are essential!